Soriano nel Cimino, the Pearl of the Cimino Mountains and the home of our very first English Centre opened in 2012. Established to support the local community with their English language needs, English in Soriano was born from the desire of owner/founder Peta Louise Lowry to provide mother tongue English language support to the students at the local school. Peta relocated to Soriano nel Cimino in 2009 with her family. Originally from Melbourne Australia the families move to Italy was part of the plan to raise their two boys bilingually. The boys, Hamish 11 and Dane 6 we’re enrolled in the local Soriano school and although they both had a good Italian vocabulary, after having had Italian lessons at school in Australia, neither of them were able to speak or understand much spoken Italian. 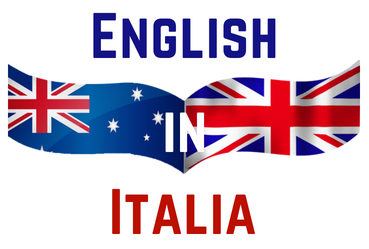 Being totally immersed into the Italian language and culture by attending the local school, 6 days a week, both boys thrived and within 3 months were speaking fluent Italian and amazing their parents and teachers with their ability to take in all of their school subjects and studies in Italian. Peta offered her mother-tongue English skills and experience of supporting her boys with their Italian language studies on a volunteer basis to the school and in 2012 she offered to provide a 12-week English Program that was being promoted by the British Council in the lead up to the 2012 Olympic Games being held in London. After the success of this program, Peta began to be approached by some of the parents and students to offer English Language support and the school asked if she would be interested in running another program the following year. As the need for English Language services began to grow in her community Peta began researching the programs available to deliver the best level of English support possible. Peta has formal “Train the Trainer” qualifications from her various roles in Corporate Australia, her hands-on experience of raising her two boys bilingually and from establishing her own Languages products business and after-school-language programs in Australia. She is not a qualified Teacher of English, however she is mother-tongue and is passionate about bilingualism and has skills and experience developed over the years of being involved in Languages Education in Australia.